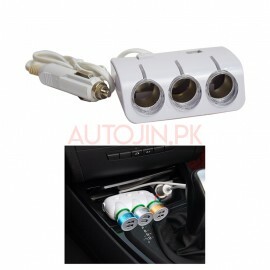 PREMIUM DESIGN - 3 way car charger luxurious and ergonomic design goes well matching with your car interiors. 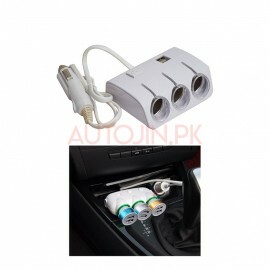 The 2-socket cigarette lighter adaptor is designed smartly to accommodate multiple device usages at the same time. A USB port can be used for charging your gadgets. 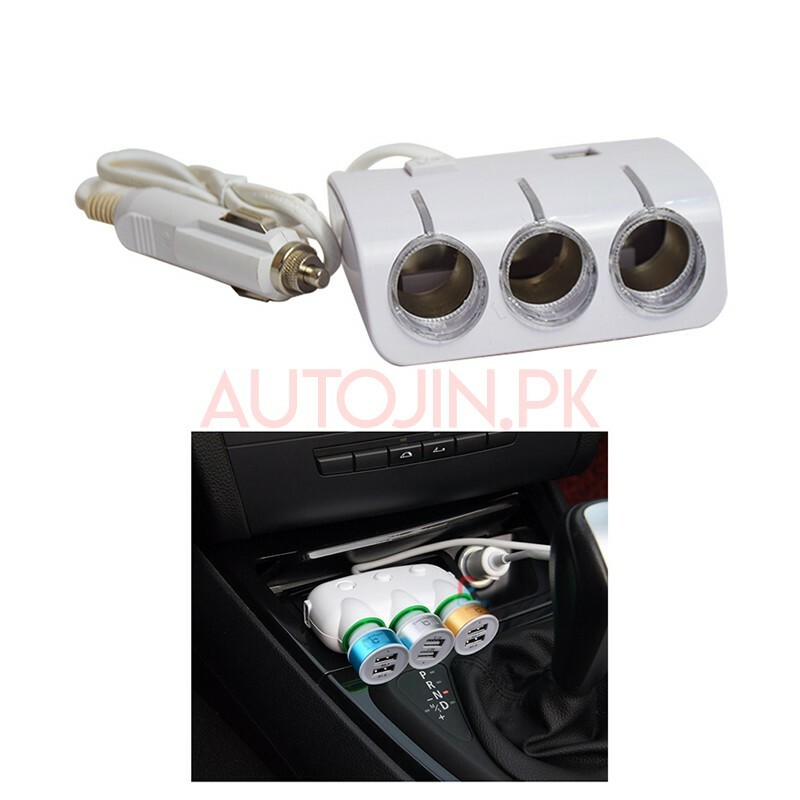 3 SOCKET CIGARETTE LIGHTER: Three 12V cigarette lighter socket adaptor can provide total power up to 60W excludes USB, perfect for simultaneously use of multiple appliances including GPS, dash cam, sat-navs, seat heater, DVD player or other portable appliances in your vehicle. USB CHARGING PORT: Cigarette lighter adaptor comes with 1 USB charging port with 2.7V/500mA the power output allows you to charge your devices rapidly. It supports iPhone, iPod and mobile phones. 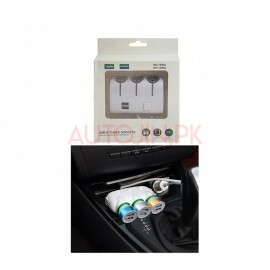 HIGH POWER: The car charger adaptor gives a maximum output power 14W with quick charge cycles for cigarette lighter socket enables efficient charge for larger portable tabs. USB allows 500mA enabling you to charge your iPhone and iPod together. SAFETY: The USB cigarette lighter adaptor comes with high quality exterior insulation that does not allow current pass through it so you can be rest assured of its use around your family or your friends without having to worry about poor contact or their batteries running out.